Please note that the content of this book primarily consists of articles available from Wikipedia or other free sources online. 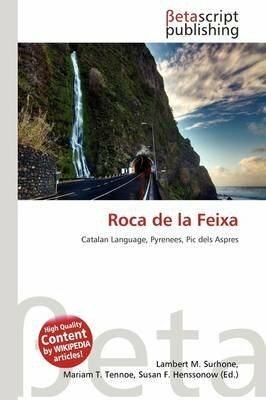 Roca de la Feixa is a massive mountain of the Pyrenees, Catalonia, Spain. It has an altitude of 2,093 metres above sea level. This mountain's summit rises above Durro village. It is located within the municipal limits of Vall de Bo, Alta Ribagor a. The Pyrenees is a range of mountains in southwest Europe that forms a natural border between France and Spain. It separates the Iberian Peninsula from the rest of continental Europe, and extends for about 491 km (305 mi) from the Bay of Biscay (Cap Higuer) to the Mediterranean Sea (Cap de Creus).